Looks like a new segment has come. It’s Ani lime light, I came up within a few seconds. There are characters out there as us as individual fans we feel deserve recognition for why we love them, stating that through their floors and strengths. 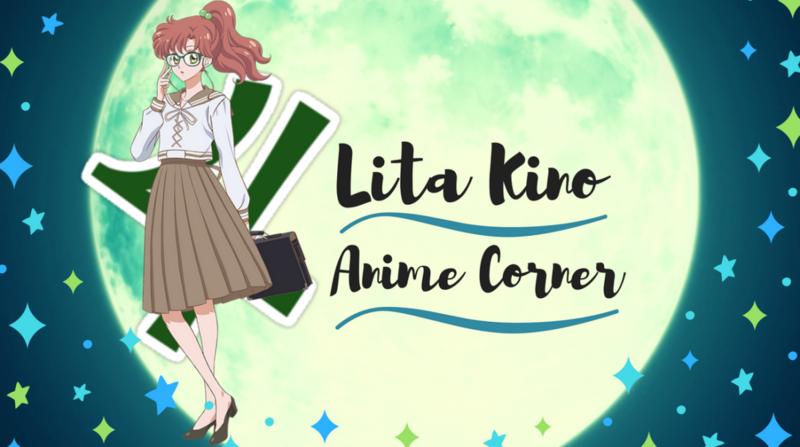 Hazel from Archi – Anime is the inspiration behind this new segment on my blog, every week she does a Monday Man Crush and Women Crush Wednesday’s highlight in points of why she loves the characters she is talking about. Thankyou for the inspiration dear, I’ll probably do this once in a while but to kick off this new segment. Starting with a character who is like my other half in terms of my goofy side, Sora Nageino from Kaledio Star. Kaleido Star is one of the most fun series I’ve ever watched, has such a happy vibe flowing throughout the show. It’s a series about reaching for your dreams, aspirations, the times of falling and getting back up again. No character in the series represents this more than main protagonist Sora. A young teen who’s dream it was from younger to join the Kaleido star stage as a performer, Kaleido star is like a circus in a way telling stories through aerobatics, such productions like Swan Lake, The Little Mermaid. We need Kaledio Stage in real life be better than a average circus we get. We’ve all got a stubborn streak in us, though Sora’s stubbornness is relentless throughout the two seasons. Sora goes through some hard trials to reach her dream of joining Kaleido star but even this dream at the beginning changes towards the end of season two. Within the first few episodes just to even be acknowledge for her talent alone is a task itself, especially from the stage’s main star Layla. I remember Kalos head of the Kaleido passed the baton to Sora having some faith in her skill at the beginning. Even him, along side Layla charged Sora with Trial after trial. Kalos may come off as cold at times but remembering the first task he gave Sora, simply keeping the kids entertained during the intermissions of the shows. Kalos only wanted Sora to realise the basis of what was most important about being apart of Kaleido star. He didn’t want Sora to crash and burn like most rising hopefuls have applied to Kaleido stage. Sora quickly realised that behind the scenes of this deemed happy atmosphere, things were not as they appeared. Learning on the basics of balance, attempting Layla’s famous maneuver these are things that remind me of Sora took these challenges head on. She never backed down once, even at times of feeling lost, that stubborn streak was her greatest character strength. It’s why she has become such a memorable and inspirational character to me. Shedding tears does not make us weak. Sora’s character in the past people have dictated of her annoyance of crying a lot. It’s true Sora does cry a fair bit in the series but you shouldn’t see this as a weak trait in her, simply reflects of how emotionally she loved being apart of Kaleido star. It wasn’t just at times she was crying for her own failures but for the people around her she had become close with. This again only reflected how truly Sora cared for the others around her. Sora reflects this personal part of me so identically, I found myself at this point truly invested in her character. When she got upset, cried it didn’t look, pitful it was raw and honesty, no matter if she lost her way. She’d get right back up, sixteen years old. The pressures she has circling on her are crazy, why her parents were so hesitant of Sora pursuing this dream. Sora is actually a adopted child, recalling the episode her mother gives birth, Sora felt a little forgotten about. You have to understand from a perspective of not being someone’s real child, it’s a different mindset Sora was looking through. Purely Sora was jealous as her parents finally had a child after trying for so many years. The fear of all the attention going onto the baby, made Sora feel like she would be forgotten about, be loved less. She really balls her eyes out but this should make you think of the sort of pressures people at her age might deal with. Sora was very open about her emotions, shouldn’t be seen as weak but as shows how strong she is. Sora’s infectious personality just rubbed off on me so much while watching Kaleido Star. Genuinely a smile to be seen throughout no matter of what challenge she was facing to reach her dream of being on stage. The important people around her she met throughout her journey, Sora had the ability to have a affect on each of them. Sora’s relationship with rising star Layla was rock at the beginning but Sora’s belief and admiration. She had for Layla allows, Layla to think for her own spread her wings a bit. Layla was always focused on perfection all the the time in her every aerobat move and performance. Layla watching Sora made her realise that she needed to be more laid back and made her remember of why joined the stage in the beginning. Leading to Sora’s stubbornness being her number one trait, her second is her giving in wanting to just make people smile. Kaleido stage from the beginning things aren’t all rosy but Sora transforms all of that. As I reflect again affecting all the people she meets, Sora’s radiating happy aura touched them all in a different way. Her love for Kaleido stage is so beloved and Sora I feel is a character that can inspire you, yourself of anything you are reaching for. For sixteen years old Sora faces a lot for a girl that age but she acts beyond her years at points, full of such belief she’ll get there. Though in season two things change in terms of her original goals, but evermore she continues to touch others. Sora is a just a joy to watch grow only stronger as a character, throughout this fun series and I recommend you guys give Kaleido star a chance. At some point I will review it. Sora is me in and out in terms of that goofy nature and one of my favourite females in anime. I hope you guys enjoyed this post and start of a new segment of covering characters in anime. That I love and deserve recognition from my own reason. Please comment down below any thoughts you have !!! Ooo that’s exciting to here That you have me on email notification !!! I’m glad I watched Kaledio Star back when I was much less discerning about what I watched, I might not make it through today and I’d have missed a damn fine show.